It’s time for legal action!! We are filing for a cancellation of the Shire City Herbals trademark on Fire Cider. This is an action we can all take together! In filing with the United Stated Trademark and Patent Office (USTMPO), we are asking them to remove the trademark Fire Cider from Shire City Herbals. *Anybody can file a cancellation as an individual, business or herbal group. * This process costs $300. *Multiple people can file under 1 petition. Have your names ready to add to the petition when you file. Herbal groups and friends can work together to pool the $, or raise the funds together. *PLEASE PLEASE LET US KNOW IF YOU FILE, SO WE CAN KEEP COUNT!! EMAIL US IF YOU WOULD LIKE TO SPONSOR AN HERBALIST TO FILE! EMAIL US IF YOU ARE AN HERBALIST THAT NEEDS A SPONSOR! Check our website for step by step instructions (in pictures!) on how to file with the USTMPO. Look for the Fire Cider table this summer at the Northeast Women’s Herbal Conference in New Hampshire, August 22-24, 2014. 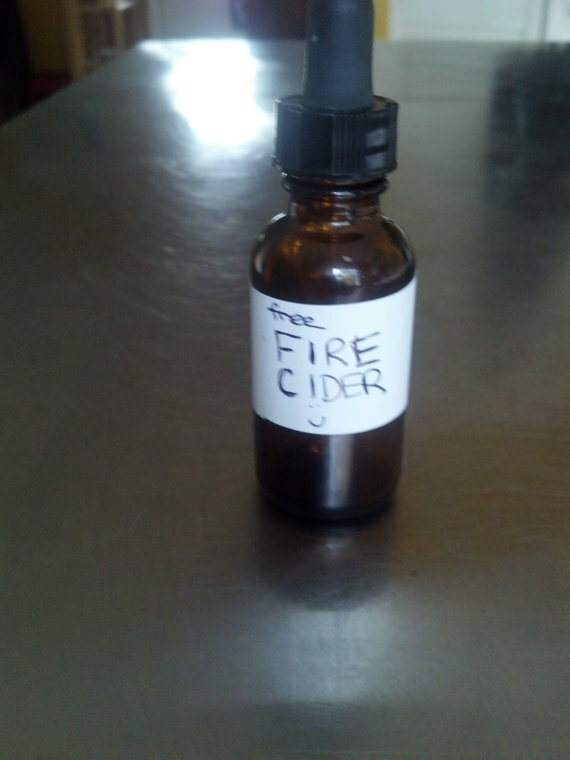 *Fire Cider Tasting: Bring your Fire Cider and enter into the tasting contest! *Find a group to file for cancellation with! Check out this page on Etsy! Fire Cider will always be a generic name, and we will keep fighting to keep it out of the hands of national companies and in the hands of the herbalist!